Ooooooh! 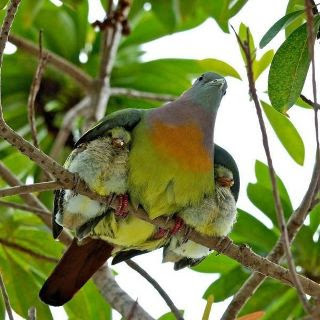 What a lovely place to be, under either of those wings. Fire Bird, wings are always welcome in House of Signs. @Slangular, when one looks at something long enough it becomes possible to say "I am that"! oh gosh, Mim, I came across the image on Facebook. But that's what you meant by 'getting out, isn't it - getting out on the internet? There is a Facebook page called Beautiful World and Universe - got it from there.